Avocados are considered world’s most perfect food for its miraculous health and beauty benefits. Avocados have a rough thin outer shell, a green creamy and fleshy body that may be pear-shaped, egg-shaped, or spherical. Avocados are packed with disease-fighting antioxidants, nutrients and heart-healthy compounds.This fruit is naturally loaded with several essential nutrients and thus is traditionally used for treating many health and skin care problems besides being consumed as a food. In the following lines, we are going to discuss how this fruit helps to treat various health and beauty problems. Let's have a close look on amazing health and beauty benefits of avocado. Avocado, like olive oil, is high in oleic acid, which has been shown to prevent breast cancer in numerous studies. Avocado not only prevents breast cancer but also inhibits the growth of cancerous cell. Avocado is considered very effective to prevents prostate cancer. Recent scientific studies have shown that Avocado not only inhibits the growth of prostate cancer but also prevent from prostate cancer. Recent scientific research has shown that certain compounds in avocados are able to seek out pre-cancerous and cancerous oral cancer cells and destroy them without harming healthy cells. Avocado helps a lot to control and stabilize blood sugar level and prevents from diabetes. Avocado contains a good amount of potassium that not only helps to main normal blood pressure but also helps to prevent many heart problems in diabetics and those at risk of the disease. Your pancreas needs potassium rich foods to operate at its best and the mineral is also heavily involved in insulin function. Oleic acid in avocados can help reduce cholesterol levels. Eating avocado on daily basis significantly reduce the overall level of bad cholesterol. Avocado juice is highly beneficial in controlling high blood pressure. Due to its potassium and good fatty content, avocado juice help a lot to reduce and stabilize blood pressure. High cholesterol is one of the main risk factors for heart disease. The cholesterol-lowering properties of avocado, along with its folate content, help keep your heart healthy and prevent from numerous heart diseases. The high levels of folate in avocado help a lot to prevent strokes. People who eat diets rich in folate have a much lower risk of stroke than those who don't eat. Avocado is highly beneficial for eyes. It contains more of carotenoid lutein as compared to any commonly consumed fruit. Lutein prevents any eye-related disorders by offering protection against macular degeneration and cataracts. Avocado is also considered very effective to prevent and cure constipation. Credit goes to high fibre contents that not only help to regulate bowel movement but also help to prevent constipation. Avocado contains both soluble and insoluble fibres and slow down the breakdown of carbohydrates in your body, helping you feel full for longer and prevents from over eating. Avocado contain a good amount of anti-oxidants. Avocado not only improve immune system but also help a lot to fight against germs and foreign bodies. 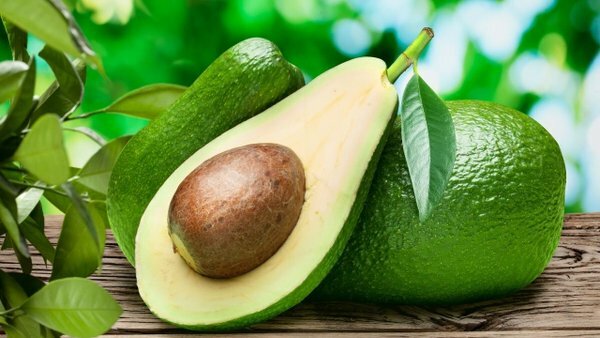 High content of Vitamin E in avocado can neutralize free radicals and the buildup of proteins to reverse the memory loss in Alzheimer’s patients; reverse symptoms of Alzheimer’s in the early stages and retard the progression of the disease. Folate content in avocado helps to prevent the formation of tangled nerve fibers associated with Alzheimer’s disease. Avocado help a lot to prevent and cure premature wrinkles. Daily consumption of avocado along with application of avocado pulp on wrinkle affected areas will give you significant improvement within few days. Anti oxidants present in Avocado help a lot to fight against skin damaging free radicals and prevent premature aging. High content of Vitamin E slow down natural aging process and keeps you away from premature aging. Avocado contain a good amount of folate, a vitamin which reduces the risk of birth defects.If you’re pregnant or planning to be, avocados will help protect your unborn baby from numerous diseases. One cup of avocado provides almost a quarter of your recommended daily intake of folate. Avocados contain a good amount of Vitamin A which helps in removal of any dead skin cells. The glutamine amino acid present in avocados cleanses your skin and provide it enough protection against harsh environmental factors. Avocado contain a good amount of Vitamin A, C and E. All of these Vitamins are essential to give you healthy, glowing and blemish free skin. Avocado oil is a natural sunscreen that protects skin from harmful effects of UV rays. It is also an excellent treatment to cure sunburns. Avocado oil when applied on scalp, not only nourish the scalp but also repair dull, damaged and lifeless hair.It deeply conditions your hair locks and scalp and hence leave them looking lustrous and full of life. Refuse seed and skin, Nutrition value per 100 g.